First off, who remembers the UC Pharmacy by the then Henry’s (now Sprouts), and the Baskin Robbins where the UC Yogurt is now? And yes Sandy Lippe was involved in the creation of the UC Celebration. 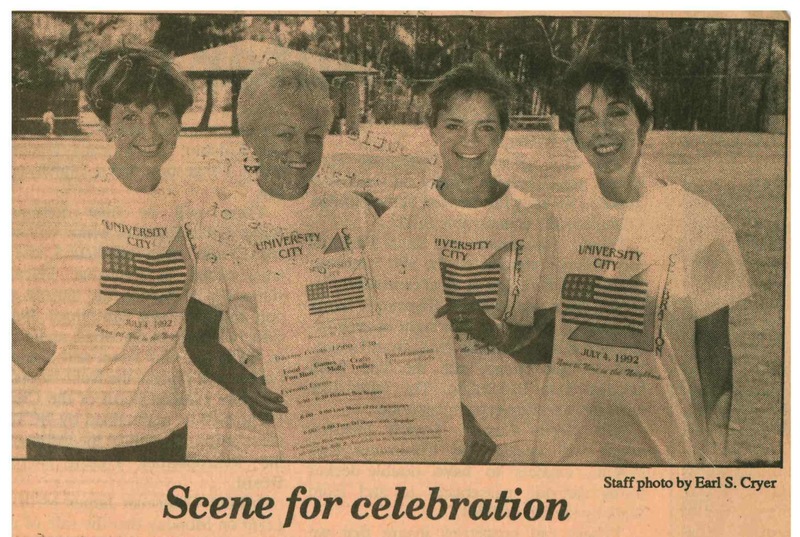 Early fliers for the UC Celebration listed events that included a Beard Growing Contest, Bingo, Sheriff and Jail, Soccer Tournament, and the Molly Trolley. Good times, good times. Fast foreword to today?? Make sure to read about this year’s UC Celebration at the Celebration page . Article was first published in the June 2015 UCCA newsletter; this post has been updated.